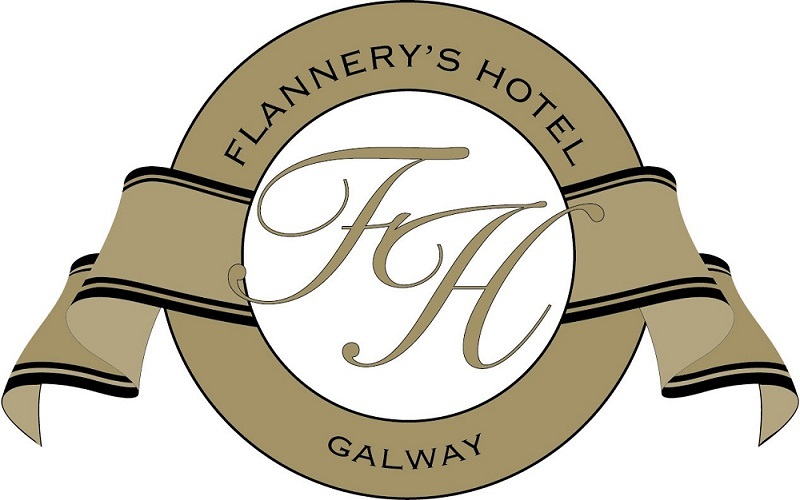 Flannery’s Hotel is owned and directed by Mary Flannery, daughter of the late Frank Flannery, who built and opened the fine hotel on the 13th of May, 1969. Over the past 50 years, Flannery’s has grown with the community, and it is now an established Galway institution. The hotel management and staff strive to continuously meet and exceed every guest’s expectations. A great testament to this fact is the number of guests that return time and again. The hotel has evolved and grown from strength to strength over the decades and now boasts 110 Standard and 24 Deluxe Bedrooms, has a large 120 seat award winning restaurant “The Galwegian Restaurant” and 3 multipurpose Meeting Rooms. Earlier this year Flannery’s launched Flavours@Flannery’s which is an exciting New Gourmet Sandwich, Salad Bar & Bakery Counter located in Frankie’s Bar and opens daily from 11.00am until late. Their new addition has been added to complement their ever-popular hot carvery lunch which runs from 12.00 noon until 3.00pm from Monday to Saturday. It is located in their new Bar Dining Area which has been extended & refurbished to a very high spec and offers a bright airy dining space which is cosy and elegant and ideal for both large and intimate groups. There is an extensive Gourmet Sandwich Menu on offer along with The Salad Bar that includes a selection of cooked meats, variety of marinated chickens and a choice of fish together with a wide range of healthy salads to choose from. The Bakery Counter has a wide selection of home-made Pastries, Desserts & Treats to suit all palates including Boston Cream Cake, Fresh Fruit Tartlets, Victoria Sponge Cake, Chocolate & Strawberry Eclairs, Carrot Cake, Assortment of Bakewell’s, Possets & Mousses and different flavoured Brownies & Cheesecakes. There are also lots of old time favourites on offer such as Banoffee Pie, Fresh Fruit Pavlova, Sherry Trifle & Crumbles. At Flannery’s Hotel they look for the best so they can be the best at delivering a warm, professional and friendly service to all their customers at all times. In addition, they look for staff that are personable, who enjoy meeting people. Skills can be taught but personality is a MUST for all potential candidates. The hotel aims to nurture, train and develop all staff. Furthermore, they promote from within the organisation.